When your Dell computer starts to crap out the first thing you’re going to need is the Service Tag. The Service Tag is a five to seven character alphanumeric code that uniquely identifies your computer to Dell. It’s usually on a little sticker pasted on the back of the computer or on the rear of a server. The problem I often run into is reading the thing. It’s hard to read the text when you’ve got a four post rack in your face, lighting is dim or a computer tower under a small desk. 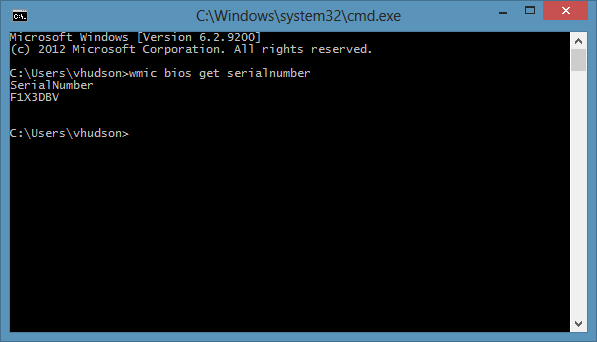 Instead of rearranging your office furniture to view the tag just use the built-in Windows Management Instrumentation Command Line (WMIC) to retrieve the code directly from the command line. well I’ll be dammed.. that worked like a charm. This internal command will never be recognized by the computer which was build by the user.